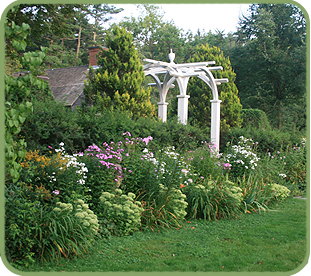 As a small landscape design firm, we add to our in-house expertise with the best specialists in the areas of environmental planning, architecture, historic preservation, illustration and computer design, engineering, arboriculture, horticulture and historic site furnishings. Because of the geographic range of our clients, a project team is built from the best professional talent – a cost-effective means of networking and utilizing the best people in the best place. Through these collaborations, the best services are brought to the individual needs of each project, while minimizing office overhead. Some of our past collaborative design teams have included Ann Beha Architects, Barba and Wheelock, McKinley Kalsow Architects, Pepperchrome Graphics, archaeology firms Gray and Pape, Soil Sight LLC, UMASS Boston, and landscape architecture and engineering firms such as Mitchell and Associates, Pinkham and Greer, exhibit planners and museum education specialists and numerous other professionals.